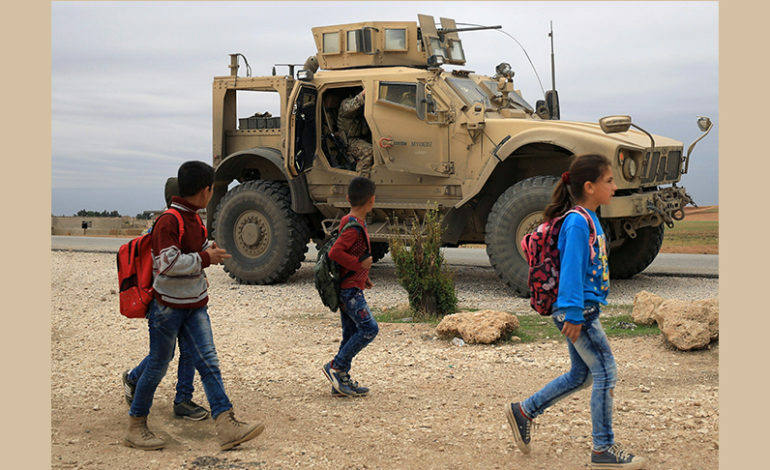 WASHINGTON, DC – In a rebuke of President Trump, the Republican-led U.S. Senate advanced largely symbolic legislation on Thursday opposing plans for any abrupt withdrawal of troops from Syria and Afghanistan. The Senate voted 68-23 in favor of a non-binding amendment, drafted by Republican Majority Leader Mitch McConnell, saying it was the sense of the Senate that Islamic militant groups in both countries continue to pose a “serious threat” to the United States. The amendment acknowledges progress against ISIS and al Qaeda in Syria and Afghanistan but warns that “a precipitous withdrawal” without effective efforts to secure gains could destabilize the region and create a vacuum that could be filled by Iran or Russia. Trump has decided to withdraw 2,000 U.S. troops from Syria on the grounds that ISIS militants no longer pose a threat. “We have beaten them,” he wrote on Twitter, Wednesday, disputing Senate testimony by his director of national intelligence, Dan Coats, on Tuesday that the group still posed a threat.